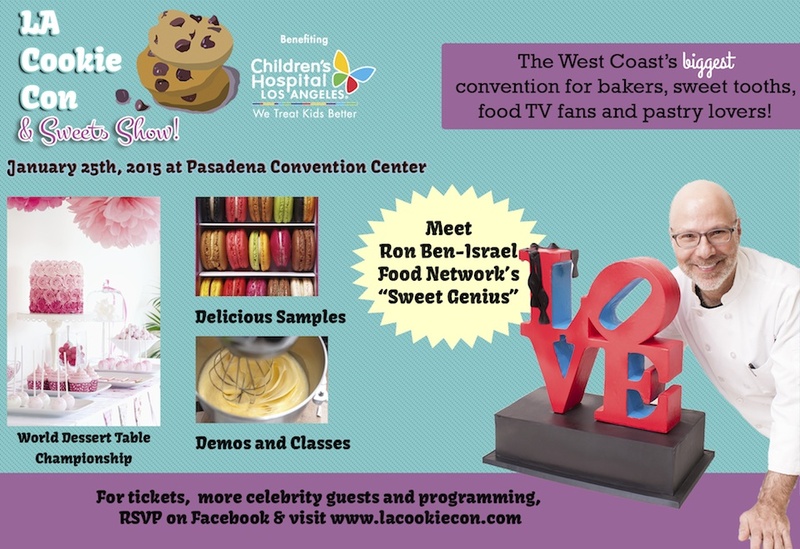 Sunday January 25, 2015 was the Inaugural LA Cookie Con & Sweets Show in Pasadena, California. The Food Network’s famous “Sweet Genius,” Pastry Chef Ron Ben-Israel was the main attraction, along with chefs from Master Chef, Master Chef Junior, and Next Food Network Star. Unfortunately, some attendees started a twitter storm over hours-long lines, and not being able to get in despite having pre-paid for tickets. A run-down on how the event turned out and the REAL story behind what went wrong!